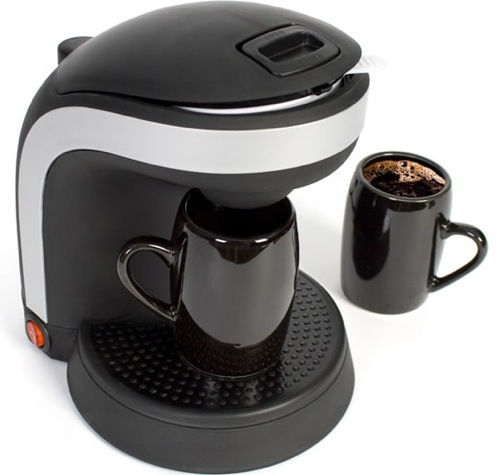 You want a single cup coffee maker review because you have already decided that single serve coffee maker is what you want to get. This is already an important step that you have taken evaluating your needs and noting that single serve brewers matches that need. Now, you need a single cup coffee maker review to assess out of so many different types of single cup coffee brewers, which one would actually gives you the most value add. Even before going into the 3 main steps, the first thing you need to take note is to forget about the so many different brands. To you, there are only 4 types of format that you need to know and this has to do with the coffee maker refills. There are the most common ones which are the coffee pods, then the capsules from Nespresso, the k-cups from keurig and the t-disc from Tassimo. Each of them would give you different experience and comes with different value add and price point. The very first thing that you need to consider before choosing the coffee maker is to know your own profile. What type of coffee or beverages that you like to drink. You can segment the profile into 3 main groups. a. A single coffee drinker. This is someone that just drink coffee and nothing else. In fact, you only drink from a single type of coffee and do not really like changes. b. A coffee drinker. This is someone that loves to drink coffee, but at the same time likes to try different types of coffee. c. A beverage drinker. You are someone that loves to change your drinks every few day and while you like coffee, you also have a weakness for hot chocolate. The second thing that you need to do is to know the profile of the different format of single serve coffee maker. X. Coffee capsules: This is used by Nespresso and they only allows you to drink coffee but they have more brands and their coffee is also very high quality. Y. K-cups: If you are using k-cups then you would be using the keurig coffee maker. This is the format that would allow you to choose from 100 over varieties of beverages. Z. T-disc: This is the refill that comes from Tassimo, and similar to keurig, this machine would give you many beverage choices. Using the breakdown highlighted above, all you need to do is to identify the profile that you belong to and then look for the single coffee machine profile that matches it. Generally, if you are a single coffee drinker, then you would most likely go for coffee pods, while a coffee drinker would go for capsules from the nespresso and a beverage drinker would get the k-cups or t-disc. There you have it, my recommendation on how to go about doing the single cup coffee maker review in order to get the machine that work best for you.